Obituary for Sylvia A. Pulliam Oliver | Bell Funeral Home, Inc.
Sylvia A. Pulliam Oliver, 74, of 353 Blackstone Blvd in Providence, RI passed away on Sunday, March 17, 2019 at Miriam Hospital in Providence, RI surrounded by her loving family and friends. She was born on June 17, 1944 in Raleigh, North Carolina. Sylvia was the daughter of the late Samuel Partin and the late Seattle (Scott) Partin. 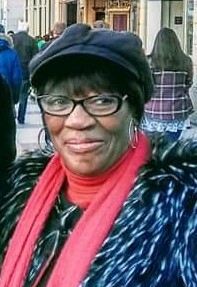 She was employed by the City of Providence in the Communications Department for 28 years and prior to retirement she loved politics and was an active community spokesperson for “The Vill” (Wiggins Village). Sylvia loved to shop and went shopping throughout New England. She also loved dancing, watching MSNBC and soul music; especially Issac Hayes. Sylvia A. Pulliam Oliver is survived by her daughters Cindy Henely (Larry) and Charlene Maynard (Dennis), one son Malcolm Pulliam (Sara), her Godson Christopher Morris, one brother Alfred Partin, one brother in-law George Schmoke, eight grandchildren and four great grandchildren and many other family and friends. She was preceded in death by her daughter Sandy Hamrick and five siblings William Partin, Luette Schmoke, Eunis Pitts, Bernestine Partin, and Ruth Morris and her longtime companion Manuel Barcellos. Sylvia loved her family and she will be missed by all.